Q: What problem are you most passionate about solving right now? A: As a part of my commitment to solving scale problems, I'm currently writing a distributed SQL database. I think traditional databases have already come up with a great way to abstract data access in SQL, but the context of old implementations has been single-machine based. Very few of these databases have done a nice job scaling up to handle very large amounts of data. In addition, not all databases have different ways to handle data with different access patterns, which results in inefficiency. My new database is trying to address these issues. I'm very passionate about this project because I think I'm getting a head-start on something that people will have to deal with soon. But as is often the case with digitization, the boon carries a bane. The ability to alter the contents of a book will be easy to abuse. School boards may come to exert even greater influence over what students read. They'll be able to edit textbooks that don't fit with local biases. Authoritarian governments will be able to tweak books to suit their political interests. And the edits can ripple backward. Because e-readers connect to the Internet, the works they contain can be revised remotely, just as software programs are updated today. Movable text makes a lousy preservative. Meanwhile, the BlackBerry-maker’s misfortune continues to be its rivals’ gain. For the same period, iOS’s market share rose 1.4 percentage points to 28.7 percent, and Android’s to 46.9 percent from 43.8 percent. December’s holiday season brought with it record sales for Amazon’s new Kindle Fire tablet. No surprise, then, that Internet traffic from the device spiked on Christmas day, as Santa’s good little boys and girls fired their Fires up for the first time. According to Millennial Media, ad requests on its network from the Fire increased 261 percent on December 25th and another 46 percent on the 26th. Apple design guru Jonathan “Jony” Ive has been awarded a second knighthood by the Queen of England as part of her annual list of honors. Ive has been named Knight Commander of the Most Excellent Order of the British Empire, or KBE for short. When in England or any member of the British Commonwealth like Canada, he will be entitled to be addressed as Sir Jonathan. Charlie Kindel, an entrepreneur who recently left Microsoft’s Windows Phone team to start his own company, wrote a blog post Monday on why the software still hasn’t taken off. He breaks down what each party in the cellphone business wants — most notably, the carrier and the hardware maker. The carrier wants to control the customer experience, and the manufacturer wants to own that and the hardware design as well. 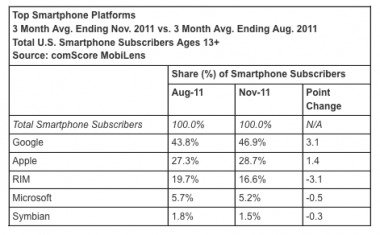 This is precisely why Windows Phone 7 faces hurdles, Mr. Kindel says. 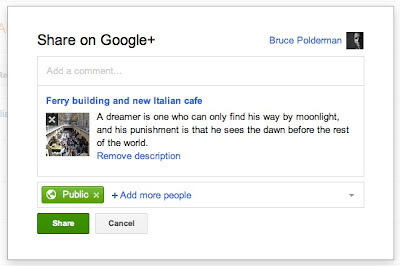 Allen, who forms his estimates after repeatedly searching Google+ for uncommon surnames, said Google+ is up to 62 million registered users as of today. Why the bump? For one thing, Google has stepped up Google+ promotion, including releasing a holiday ad of the Muppets rocking out in a Google+ Hangout. There’s also one with basketball great Bill Walton. SOPA has the support of more than 140 companies and organizations, mainly in the music, book, television, and film industries. Many major Internet companies oppose it. There's little evidence that similar legislation elsewhere has worked. In 2009, for instance, France passed "three strikes" legislation that was meant to require Internet service providers to cut off access to people who had ignored two warnings to stop trading pirated works. The government set up a bureaucracy to implement the measure earlier this year. But actual enforcement has been slow in coming; ISPs say the task of tracking pirated works is very costly, and they want the government to pay for it. In the case of the U.S. legislation, the Congressional Budget Office has estimated that hiring enforcement staff in the U.S. Department of Justice would cost $47 million over the next five year. Just before Christmas last week, Oracle got a last-minute gift that it didn’t want in its patent fight with Google: A rejection by the US Patent and Trademark Office of several claims of a patent that’s the subject of their lawsuit. Groklaw reported the notifications on Friday. See the full filing here. That means the legislation is going to wind up on President Barack Obama’s desk, requiring his signature, which would make it law; or his veto, which would effectively kill it. That makes it pretty much the first significant bit of technology policy he will face in the new year. What’s not entirely clear is which way Obama is likely to decide. So far, the administration hasn’t sent any signals, one way or the other, on either SOPA or its companion bill in the Senate, the Protect IP Act (PIPA). That means ~10 million people who bought the phone are going to be stuck on the outdated version 2.3 Gingerbread (or 2.2 Froyo in many cases) until they decide to drop more cash on a new phone. It also means Samsung is basically throwing its pledge to the Android "Alliance" that it will keep devices released within 18 months updated with the latest version of the OS out the window. After our last post, just had to share this chart. Pretty amazing. Volkswagen has agreed to deactivate e-mails for its German staff members’ company BlackBerrys when they are off duty. Under an agreement reached this week with labor representatives, staff members at Volkswagen will receive e-mails via BlackBerry from half an hour before they start work until half an hour after they finish, and will be in blackout mode the rest of the time, a spokesman for the company said. Remember when Microsoft made a $150 million investment in Apple and promised to keep the Mac market alive by continuing development of Mac Office back in 1997, just months before the Cupertino company dissolved into bankruptcy? Microsoft didn't rescue Apple from certain oblivion out of any goodness in its corporate heart; it did it to keep its only ostensible desktop OS competition alive so that it could prove to antitrust regulators that it wasn't so dominant after all. The strategy didn't work all that well, I guess—Microsoft is still suffering from the after-effects of antitrust regulation over a decade later and of course Apple has rebounded perhaps a little too nicely—but that doesn't mean it wasn't a good strategy. In fact, it's so solid that Google is doing something similar today: This week, it renewed its bizarre search deal with Firefox maker Mozilla, promising to inject an astonishing $1 billion in the struggling browser company over the next three years. (And by "astonishing" I mean, "this is THREE times what it was previously paying, back when Firefox still mattered.") Why would it do this? First, it keeps Mozilla kicking around, even while its browser market share nosedives, thanks largely to Google's own browser, Chrome. And second, it keeps competitors like Microsoft and Yahoo! at bay: By overpaying for the search partnership with Mozilla, Google has prevented Microsoft and Yahoo! from securing a similar deal. So it's even better than Microsoft's bailout of Apple. In fact, it's a win-win! The Queen's Christmas speech is to be released as a free download for Amazon's Kindle e-book reader following its broadcast. The retailer secured access to the transcript after approaching the Royal Household with the proposal. The arrangement is an e-book exclusive although the text will also be made available at Facebook and the Royal Household's official website. Best Buy has alerted some customers that it will not be able to fill their online orders, just days before Christmas. The largest U.S. specialty electronics retailer said late Wednesday that "overwhelming demand for some products from Bestbuy.com has led to a problem redeeming online orders made in November and December. What the pair declined to add: The search giant will pay just under $300 million per year to be the default choice in Mozilla’s Firefox browser, a huge jump from its previous arrangement, due to competing interest from both Yahoo and Microsoft. Sources said this total amount — just under $1 billion — was the minimum revenue guarantee for delivering search queries garnered from consumers using Firefox. Though Skype is now eight years old, the software — and others like it, including Apple’s FaceTime and Google chat — has become a regular fixture in a growing number of American homes, providing new ways for families to stay connected in an age where generations are less likely to gather around the table on Sunday afternoons to share a meal. Skitch is the amazingly fun and surprisingly powerful way to move your ideas and projects forward using fewer words. With Skitch, annotate and draw on just about anything that you see, whether it’s a new or existing photo, a webpage, screenshot, map, or a blank canvas. Then, share your work with friends, colleagues or save it all to Evernote. It couldn’t be simpler. Although Mr. Ebersman has played tough with Wall Street bankers, telling them he's skeptical about what they can contribute to an IPO, he's also communicated his interest in moving forward with a standard public offering, people familiar with the matter said. Facebook has little interest in taking a page from Google Inc.'s book, which did an electronic auction-style offering. Even the CEO's trademark Adidas flip-flops are growing up. Mr. Zuckerberg, 27, has upgraded to Brooks running shoes and went so far as to wear a dark blue tie and sports coat when President Obama visited in April—a sartorial move he was once loathe to take for the many bankers, lawyers and CEOs he meets. You stand in one place, tapping controls on the screen of your Android phone, iPhone, iPad or iPod Touch. The self-propelled, baseball-size sphere rolls around in the specified direction. You can’t stop yourself from trying to guess how that’s even possible. There’s a lot of advanced miniature technology inside: a tilt sensor, compass, gyroscope and a little motor with wheels that makes the thing roll. Facebook has released its list of the 10 most popular social games for 2011, and while the chart was dominated by Zynga titles, other companies received the top two slots. The list revealed some other surprises, too. Ice Cream Sandwich is Google Inc.’s name for the latest version of its Android operating system. In coming months the software will be rolled out free of charge to millions of Android phones and tablet computers, but for now you can get it only by purchasing the new Galaxy Nexus smartphone from Samsung Corp.
You might not want to do that. It’s a nice enough phone, but rather pricey at $299.99, and afflicted with poor battery life. If you’re hungry for Ice Cream Sandwich, it might be better to buy a less expensive model that’s compatible with the software, or keep the one you have and wait for an upgrade. That gives it a run rate of 255.5 million Android devices annually. It's impressive, but it's actually lagging estimates for Apple's iOS. In Piper Jaffray analyst Gene Munster's "bull case" for Apple in 2013, he sees the company selling 260 million iOS devices (iPhone, iPad, iPod Touch). Check the link below for some scary info about the most-watched videos etc. Still, that’s a stunning number. And it’s part of YouTube’s 2011 Rewind feature that looks back at how and what we watched over the past 12 months. ...and for those wondering, we count each device only once (ie, we don't count re-sold devices), and "activations" means you go into a store, buy a device, put it on the network by subscribing to a wireless service. Research In Motion Ltd. advanced 11 percent in late trading after news reports said Microsoft Corp. and Nokia Oyj mulled a joint bid, while Amazon.com Inc. considered buying the maker of the BlackBerry smartphone. RIM “turned down takeover overtures” from Amazon because it wanted to fix its shortcomings independently, Reuters reported. That was followed by a Wall Street Journal article that said Microsoft and Nokia “flirted with the idea of making a joint bid” in recent months. Both cited unidentified people familiar with the matters. Still, today’s software update erases the stubbornness that characterized the original Fire software. Now, if you’re in the market for a tablet, the Fire isn’t the only game in town. Barnes & Noble’s Nook Tablet ($250) has charms of its own (like much sharper Netflix movie playback), and of course the iPad costs a lot more ($500) but also does a lot more and shows a lot more on its bigger screen. But if you’re already a happy member of Amazon’s ecosystem — music store, bookstore, movie store — then the Kindle Fire may now be calling your name more loudly than ever. Today’s touch-ups make an enormous difference. I had fun with these apps, and each uses a different method to draw in users. IntoNow and Showtime Social poll viewers during shows, Shazam displays behind-the-scenes footage, and IntoNow displays related social-network updates and live discussions. The apps virtually introduced me to fans of shows I liked, reminding me of my freshman year of college when I piled into a dorm room with 20 people (many of whom I didn’t know) to watch the series finale of “Felicity:” The show got more interesting in the company of other fans. Altova FlowForce® Server Beta 1 is an exciting new tool for execution of automated data mappings designed to provide comprehensive management and control over data transformations performed by dedicated high-speed servers, virtual machines, or even regular workstations, depending on the size of the task. To gather user input and accelerate product development, Altova is offering Altova FlowForce Server Beta 1 as a free public beta test to all licensed users of Altova MapForce® 2012 Enterprise Edition and MapForce® 2012 Professional Edition. Our source tells us that this is what Google is building. They are in late prototype stages of wearable glasses that look similar to thick-rimmed glasses that “normal people” wear. However, these provide a display with a heads up computer interface. There are a few buttons on the arms of the glasses, but otherwise, they could be mistaken for normal glasses. In addition, we have heard that this device is not an “Android peripheral” as the NYT stated. According to our source, it communicates directly with the Cloud over IP. Although, the “Google Goggles” could use a phone’s Internet connection, through Wi-Fi or a low power Bluetooth 4.0. Many of these employees belong to the community of "workampers," a sort of modern-day migrant worker. 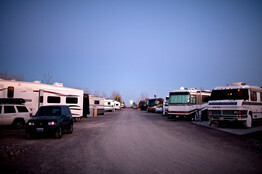 Many of them are retirees who spend all or part of the year living in RVs and taking odd seasonal jobs around the country. While some workers really need the money, others said they take the gigs to help fund their adventures or just for fun. Many current and former seasonal workers said Amazon pays decent wages—about $12 an hour plus overtime in Fernley, which is about 50% better than minimum wage here. But that is in exchange for long hours and tedious labor. Apple appears less motivated by getting royalties from the companies it is suing, though some patent experts believe that could be posturing on its part. Mr. Jobs’s criticisms took on more urgency as Android began to gain a bigger share of the smartphone market during the last two years. But when he expressed those criticisms to his biographer, Walter Isaacson, he said he told Eric E. Schmidt, now the executive chairman of Google and a former Apple board member, that he didn’t want money from Google. Perhaps an answer to the question “How does Quora evolve and expand?” See this Quora blog post for more details. Quora Boards is basically a social bookmarking tool. Users can curate posts from Quora, links from around the Web, and other content. It’s similar to other sites like Pinterest — though Pinterest tends to be more visual and product-oriented — and Snip.it, (both of which Katie Boehret recently reviewed). Introducing Boards wasn’t necessarily a play to broaden Quora’s appeal to a larger audience, Quora co-founder Charlie Cheever said in a phone interview. The intent was to give users tools they wanted — such as ways to feature their favorite Quora answers, or ways to acknowledge outside resources from the rest of the Web. “It’s easier to put stuff on a Board than it is to write a five-paragraph answer,” Cheever said. AT&T will have to pay a giant breakup fee to Deutsche Telekom, as well as enter into an expanded roaming agreement. AT&T said it would take a $4 billion charge in the fourth quarter to account for the cash and spectrum owed to the German telecommunications firm. The charge reflects $3 billion in cash and the $1 billion book value of spectrum owed, though many have placed the value of the spectrum at far more than its book value. Despite the windfall, the move still leaves Deutsche Telekom without an exit plan for its U.S. holdings, and leaves T-Mobile without a clear path to offer higher-speed LTE service. With freemium, enterprise upstarts are turning the adoption and implementation process on its head, without having to compete head-on with the giants. By the time Box is talking to an IT buyer about replacing SharePoint or another legacy solution with our product, that company has already experienced our service through its employees. This means corporate customers are not paying until the service has been vetted and deemed successful by their own workers. Gone are the days of radically expensive, failed implementations of enterprise technology. Google chairman Eric Schmidt said this week that the company will produce an Android tablet of "the highest quality" in the next six months to better compete with Apple's market-dominating iPad. In an interview published Monday by the Italian-language Corriere della Sera, Schmidt praised the late Steve Jobs as "the Michelangelo of our time" but promised a "brutal competition" between Google and Apple in mobile communications and the smartphone market. Let’s put it plainly: No one but RIM needs RIM; but Microsoft’s future in the smartphone (and, perhaps, tablet) market requires a strong Nokia. Other Windows Phone “partners” such as Samsung are happily pushing Android handsets, they don’t need Microsoft the way PC OEMs still need Windows. Why struggle with a two-headed hydra when you can acquire Nokia and have only one CEO fully in charge? Would this be Andy Lees’ mission? The brain that brings all these things together is the smartphone, which after all is really the first wearable computer. Researchers note that the smartphone is almost never more than three feet away from its user. It is often just inches from the bed during the night as well, and has replaced the alarm clock for many people. As a result, the smartphone is going to be the hub for our information sharing and gathering. Think of it as a force field that will engulf us wherever we are, transmitting power and Internet access to sensors and screens that are tacked to our clothing. In recent weeks, Apple executives have discussed their vision for the future of TV with media executives at several large companies, according to people familiar with the matter. The university announced today a plan to launch “MITx,’’ a set of specially designed Web-only classes that anyone can take for free. Those who earn passing marks may pay the school a small fee for an MITx certificate. Though it will not be an MIT diploma, it could help on a résumé, allowing students to prove mastery of individual subjects without earning full degrees. As this is happening, though, the protean Internet technologies of computing and communications are rapidly spreading beyond the lucrative consumer bailiwick. Low-cost sensors, clever software and advancing computer firepower are opening the door to new uses in energy conservation, transportation, health care and food distribution. The consumer Internet can be seen as the warm-up act for these technologies. The concept has been around for years, sometimes called the Internet of Things or the Industrial Internet. Yet it takes time for the economics and engineering to catch up with the predictions. And that moment is upon us. MongoDB might be a popular choice in NoSQL databases, but it’s not perfect — at least out of the box. At last week’s MongoSV conference in Santa Clara, Calif., a number of users, including from Disney, Foursquare and Wordnik, shared their experiences with the product. The common theme: NoSQL is necessary for a lot of use cases, but it’s not for companies afraid of hard work. As our societies get bigger, and rely more and more on the Internet, fewer and fewer of us have to be very good at these creative and imaginative processes. And so, humanity might be moving towards becoming more docile, more oriented towards following, copying others, prone to fads, prone to going down blind alleys, because part of our evolutionary history that we could have never anticipated was leading us towards making use of the small number of other innovations that people come up with, rather than having to produce them ourselves. The author discussed potential plans for expanding the already 630-page book in the future. One possibility is doing an extensively annotated version. Another is writing an addendum that addresses the period surrounding Jobs' death. 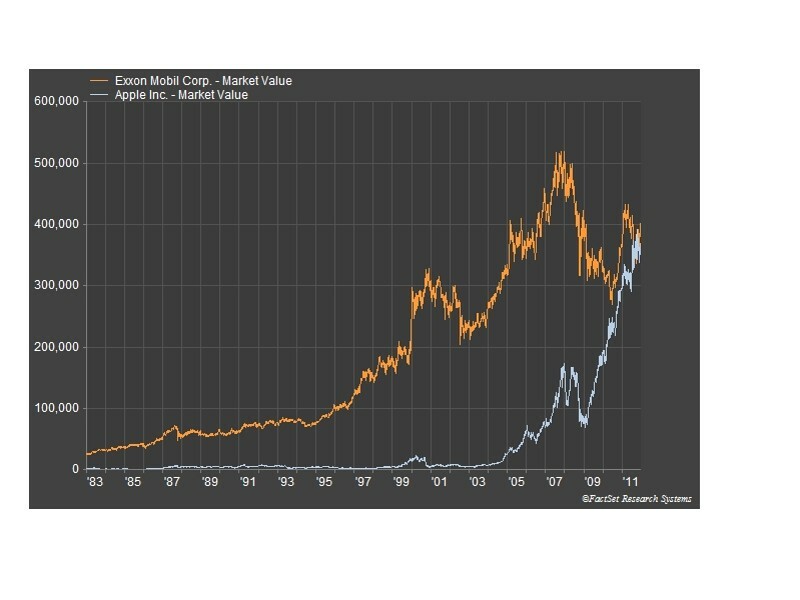 Fleshing out the details seems like a logical next step, since Isaacson believes the Apple (AAPL) CEO's story will be told for decades or a century to come. "This is the first or second draft," he said, referring to his book's role in documenting Jobs' life. "It's not the final draft." The U.S. House Judiciary Committee abruptly adjourned today without voting on the Stop Online Piracy Act (SOPA), a controversial measure that would impose radical new requirements on search engines, ISPs, ad networks and other key internet players. The hearings will resume “earliest practical day that Congress is in session” according to the chief sponsor of the legislation, Rep. Lamar Smith (R-Tex), but with the Congressional holiday recess imminent that could be weeks from now. If you’re involved with any type of online marketing, you should learn as much as you can about this proposed legislation, as the implications (mostly negative, unless you’re a large content provider or trademark holder) are huge. Or not. Despite the fact that Congress was supposed to be out of session until the end of January, the Judiciary Committee has just announced plans to come back to continue the markup this coming Wednesday. This is rather unusual and totally unnecessary. But it shows just how desperate Hollywood is to pass this bill as quickly as possible, before the momentum of opposition builds up even further. There are four reasons to consider such a device, even with the iPad as top tablet. Let me preface them with a baseline thought, however: I’m not suggesting the iPad isn’t a great tablet in its current form. It’s a breakthrough product that has created demand for a market that hasn’t had any since the first tablet PC was introduced in 2001. I have an iPad 2, which offers a superb experience, albeit in a limited fashion. That leads to the first of my reasons. Digitimes, citing sources, reported earlier today that Apple is likely to launch a “7.85-inch iPad prior to the fourth quarter of 2012,” in addition to a new iPad scheduled to be released at the end of the first quarter of the year. Another appeal, signed by 83 key internet engineers including father of the internet Vint Cerf, has also been sent to Congress. "We cannot have a free and open internet unless its naming and routing systems sit above the political concerns and objectives of any one government or industry," it reads. "Censorship of internet infrastructure will inevitably cause network errors and security problems. This is true in China, Iran and other countries that censor the network today; it will be just as true of American censorship." Simmons goes further, however, and asserts that because the server-side architecture that all apps rely on, both native and web, is now so clean and discrete and independent of its presentation on a phone by a website or an app, the future is actually web apps and native apps that are basically indistinguishable. Since Timeline is more concerned about organizing data neatly than shooting out updates in real time, MySQL is well suited for the app. Although the data is aggregated in the same location as the data is kept (i.e. not over a network connection), that data is managed by MySQL, and not an alternative like NoSQL or Hadoop Hbase. "A lot of people are surprised that for this shiny new thing for Facebook, we’re using MySQL,” Piantino told Wired. “We treat [MySQL] as a generic engine for data manipulation. We use it as a storage engine. And it’s really efficient." Gene Munster, an analyst with Piper Jaffray, said Kindle sales now look as if they will be “slightly better” than he had forecast. He previously estimated fourth-quarter sales of nine million Kindles — four million Fires and five million other devices. Now he is raising his forecast to 10 million to 12 million. That is close to the number of tablets Apple is expected to sell. Mr. Munster is estimating iPad sales this quarter of 13.5 million. Amazon declined to say why it was suddenly so forthcoming. Mr. Munster attributed the release to pressure from investors as well as a more fundamental strategy: If your product is being attacked, you talk it up. Amazon.com Inc (AMZN.O) said on Thursday it is selling more than one million Kindle devices a week, an unusual disclosure from the largest Internet retailer that comes in the wake of some negative reviews of its new Kindle Fire tablet. Amazon said customers are buying "well over" one million Kindles per week. This level of sales has occurred for three straight weeks, it added in a statement. The sales numbers include the Kindle Fire tablet and all the versions of the Kindle e-reader. The company did not break out sales numbers for the Fire tablet alone. The crisis at Blackberry maker Research In Motion Ltd. showed no sign of lifting Thursday, as the company said a long awaited product revamp would be delayed until late 2012. The company's weak earnings pushed its stock to new seven-year lows in after-hours trading, raising fresh questions about how the company can survive against relentless competition from Apple Inc. and Google Inc. If you have been using Facebook for a while, it would probably be a good idea to block some time to review your timeline before it goes live over the next week or so. Check this Facebook post for details (and a lively discussion thread). For better or worse, the new format is likely to bring back a lot of old memories. But it could also make it harder to shed past identities — something people growing up with Facebook might struggle with as they move from high school to college and from there to the working world. Salesforce just announced that it is buying Rypple, an oddly-named outfit that specializes in performance management and goal-setting. It’s a cloud-based platform for giving employees feedback on how well they do their jobs, and which attempts to make the annual performance-review process — dreaded by so many employees and managers — less, well, dreadful. Open Source WebOS, then, is really an anti-IBM and -Oracle (Sun) strategy more than anything else. So that’s what Leo Apotheker had in mind! But it can only work if HP makes WebOS truly open to the point of publishing APIs they might otherwise have kept hidden. Whitman may talk a good game, but I don’t think her troops are ready to be that bold. I think they’ll flinch, perhaps without even telling her, and make WebOS a little less open than it should be. And by doing so they’ll let WebOS fail. Thus, imagine my astonishment when the newest threat to free speech has come from none other but the United States. Two bills currently making their way through congress -- SOPA and PIPA -- give the US government and copyright holders extraordinary powers including the ability to hijack DNS and censor search results (and this is even without so much as a proper court trial). While I support their goal of reducing copyright infringement (which I don't believe these acts would accomplish), I am shocked that our lawmakers would contemplate such measures that would put us on a par with the most oppressive nations in the world. Research In Motion Ltd.’s mishandled debut of its BlackBerry PlayBook has hurt more than just sales of the tablet. It may be turning off possible buyers of the company. RIM’s shares have dropped 72 percent since April 19, when the Playbook first hit the U.S. market. Countering that trend, the stock has jumped at least 5 percent nine times since July on speculation a bid might come from a larger technology company, such as Microsoft Corp. or Samsung Electronics Co.
Two of its lead underwriters, Morgan Stanley and Credit Suisse, expressed optimism for Groupon’s outlook but still issued neutral ratings. Morgan Stanley initiated coverage at equal weight, with a $27 price target. It praised Groupon for its “prime mover status and scale,” but warned investors to “wait for a better entry point to build a position.” The firm also pointed out that Groupon’s competitive advantage might be eroded as merchants became more sophisticated on the Web and rivals attacked its market share. If you envy Apple’s sleek, speedy MacBook Air laptop, and yearn for something like it that comes with the Microsoft Windows operating system, your wish has been granted. It’s a new type of Windows laptop called Ultrabook. A handful already are available, and more are likely to arrive in the new year. Now, neither of us are given to conspiracy theories, hence our use of conditional verb tenses. But it's still striking that despite the device's flaws, analysts are maintaining their predictions that Amazon will move three to five million units this quarter. And despite the device's flaws--indeed, to a certain extent, because of them--the Fire will drive more and more purchasing on Amazon.com. All of which may wind up making the Fire one of the most lucrative mediocre products in history. When telling this story, I usually gloss over an important related fact. Although the average Facebook user is only communicating directly with four of their 130 friends in any given week, they are consuming content from a much larger number of those people. After all, over 50% of active Facebook users come back every day. If you include consuming updates from people as communication, then people are interacting with many more than four, but much of the communication is asymmetrical in nature. I may not communicate directly with you, but I do keep up with what’s going on in your life. The rule barring passengers from using a Kindle, an iPad, or even a calculator, were originally made to protect the electronics of an aircraft from interference. Yet pilots with iPads will be enclosed in the cockpit just a few inches from critical avionics on a plane. At last week's MIT workshop, David Clark, an MIT computer scientist who was the Internet's chief protocol architect in the 1980s, said that the Internet will need to be engineered to both resist attack and to make it difficult for individual regimes to shape it to their liking. "Did we design it to be resilient to attack and control? The answer is no," Clark said. "We thought about it being resilient to failure, and that's different. We need now to think about a discipline of designs relevant to control." Clark added: "The future is not centered on performance, but centered on control and power. We are not trained, as computer scientists, to evaluate things from that perspective." Jive Software’s successful debut on the Nasdaq on Tuesday reflects investor enthusiasm for social media companies, though it is unclear how eager businesses are to bring a Facebook-style network to the workplace. Jive provides social software to businesses, including customised social networks for customers, and internal networks and collaboration tools for employees. After pricing its shares at $12 on Monday, it traded as high as $16.50 on Tuesday, a 38 per cent jump, closing at $15.05, giving the 10-year old company a valuation of more than $662m. The airplane that his new company, Stratolaunch Systems, plans to build will be larger and heavier than the Spruce Goose, Howard Hughes’s record-setting flying boat that flew, just once, in 1947. With wings that will stretch 385 feet — longer than a football field — it will dwarf the double-decker Airbus A380, which is the biggest commercial passenger plane flown today. It will take off from a runway, fly to a normal cruising altitude and then drop off a rocket, eliminating the need for costly launching pads. First, Microsoft realizes that it doesn't dominate computing anymore--especially the mobile world. That reality is running into another key fact: Microsoft applications are everywhere. In other words, Microsoft's plans to launch iPad versions of OneNote, Lync and SkyDrive, which isn't optimized for Apple'stablet, is just smart business. Simply put, the killer app on a single platform days are over. Want a free Windows Phone? Well, it turns out that you may be able to get one for free - all you need to do is tell Microsoft about the malware problems you've had with Android smartphones. Yes, that's right. Microsoft's latest social media marketing initiative is not to focus on the benefits of a Windows Phone device but instead - in a somewhat below-the-belt punch - invite Android users to share their stories of malware woe. Amazon’s going to sell a lot of Kindle Fires this year, and even more the next — despite the criticism being leveled at the device. Goldman Sachs expects Amazon to sell six million Fires by the end of the year. And it figures the Kindle creator will sell between 15.5 million and 20.5 million during the tablet’s first full year of availability. Google Buys Clever Sense: An Answer To Siri? Market research firm Strategy Analytics today reported on the release of its new research report covering "connected TV players" such as the current Apple TV and Roku boxes. According to the report, Apple is predicted to reach sales of four million Apple TV units for 2011, leading the way in a rapidly-growing market with a 32% share. Apple is reportedly going to use part of its enormous pile of cash to buy an Israeli fabless semiconductor company that specializes in flash storage solutions. Calcalist reports – in Hebrew – that the world’s most valuable company is in talks to buy Herzliya Pituach, Israel-based Anobit for $400 million to $500 million. According to an eMarketer analysis of time spent with media, TV and mobile saw significant gains vs. 2010 — with conventional TV the winner and still champion. According to the data presented, the average US adult spends about 4 hours and 34 minutes per day watching TV. Multitasking is counted as time spent independently with each medium. Jive Software Inc., the maker of social-networking software for businesses, raised $161.3 million in its initial public offering, 38 percent more than it sought, after pricing the shares above the marketed range. The Palo Alto, California-based company sold 13.4 million shares at $12 apiece, according to data compiled by Bloomberg, after saying it would offer 11.7 million for $8 to $10 each. The stock will trade on the Nasdaq Stock Market starting tomorrow [today] under the symbol JIVE. But response so far has been tepid: Marketers say they have been turned off by iAd's high price tag as well as Apple's hard-charging sales tactics and its stringent control over the creative process. Google's AdMob service, on the other hand, is priced more reasonably, ad executives say, and is available on a wide array of devices—not just Apple products. In response, Apple is making some changes. 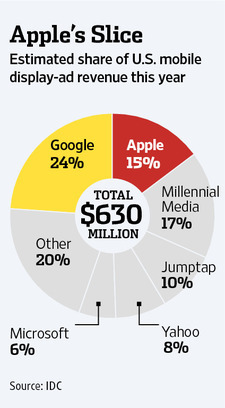 It is showing more willingness to bargain on the spending commitment it requires of advertisers. Far enough in the distance to dream, yet seemingly within arm’s reach, that year was attached to more predictions of technological innovations from readers than any other in the interactive, crowd-sourced timeline published online with “The Future of Computing,” last week’s special issue of Science Times. Microsoft on Monday released an iPad version of OneNote as well as versions of its Lync corporate communications program for iOS, Android and Symbian. It’s part of the difficult balancing act facing Microsoft in mobile. While Redmond does its most extensive work for its own Windows Phone operating system (and did so for Windows Mobile before that), the company knows it can’t afford to ignore the more dominant operating systems. Today, just in time for the holidays, we’re releasing OneNote 1.3 for iOS. Since the launch of OneNote for iPhone nearly a year ago, a recurring request from our customers has been for a version that can be used more easily on the iPad's larger screen. We're happy to announce that today's new release of OneNote for iOS devices includes a version that's tailored for the iPad. The New York Times came out with an article today making the Kindle Fire out to be a big loser, citing a few experts, customer complaints and how it doesn’t measure up to the iPad. It never really talks much about the Kindle as a Kindle replacement, and that’s where the story misses the Kindle’s real advantage. Summary: Microsoft may be getting closer to delivering an iPad-optimized version of OneNote, one of the components of its Office suite. There’s an updated version of Microsoft’s OneNote electronic note-taking application available in the Apple store, as of December 12. The new 1.3 OneNote update advertises itself as being available for not just for the iPhone, but also the iPad. It seems the iPad version isn’t really available yet, despite the wording, however. Along with Taleo, Jive will quickly become part of the conversation concerning cloud-based acquisition targets. Niklas Zennstrom's FreedomPop has signed a mind-boggling deal with LightSquared to provide free broadband to everyone in America. FreedomPop only exists as a landing page where one can register an interest in having free mobile broadband, and if it weren't for the involvement of one of Skype's founders it could easily be mistaken for a scam - it sounds too good to be true.